I AM NOW A MODGAM.COM! I finally bought my own domain and I am overjoyed! Feels like I really do own my blog now! Everyone, meet www.modgam.com!!!!!!!!! Hahahaaaaa I am still the same ol’ same ol’ but slightly different. Please continue to show your love and drop by anytime to chat! It’s free and I guarantee tons of fun! 5 awards in 2 months, I am deeply flattered and honored. I am very happy when I see familiar names dropping by and leaving me comments or likes. It means so much to me to receive that recognition from fellow awesome bloggers! Thanks so much for all the love. I am equally happy when new friends pop over leaving comments and likes, please continue to drop by and don’t forget to subscribe to modgam.com! I promise to keep digging for unique and fun food joints and fashion stuffs. Here at modgam.com, I promise you tons of sunshine and fun! Connie, the brains behind Nutcase Fashion, just made me happier by surprising me with a customized banner just for www.modgam.com! THANKSSSSSSS HUN!!!! She will be designing not just one BUT A FEW for me to choose. I am soooooo happy and uberly touched! She is up to her neck with her day job and her Nutcase Fashion shop but still she makes time to do this for me. I am very very very grateful babe and I am soooo happy you shared my joy! Love ya lots! Stay tuned for modgam.com’s one of a kind banner designed by Connie!!! 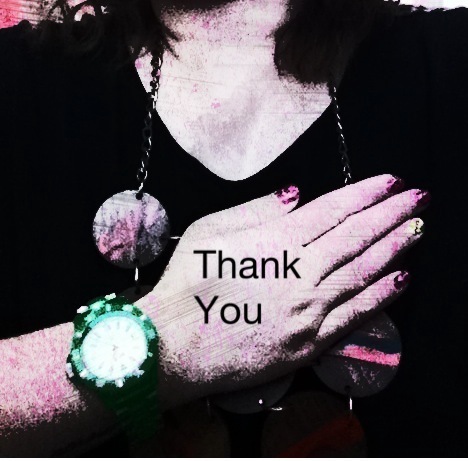 From the bottom of my heart, a BIG BIG THANK YOU to all who has been supporting www.modgam.com. yey!!!!!!!!! Keefy, im soooo happy! thankssssss so much babe! thank you for sharing my joy! hello MEGAN!!!!!! i am sooo happy! wooooots! Wonderful. I’m still thinking about it. You’re a great blogger. I don’t always read each one, but I know there is always something new to read. I love your blog. Best to you! hi luannseclectics, thank you so much!!! you are a great creative blogger too. its really rewarding to hear this and it means a great deal to me. lets keep inspiring each other! Wow congratulations on becoming an Internet real estate holder hehe! How exciting 🙂 Keep up the good work, up up up and away! hi Opors, welcome to my blog! thanks sooo much! thanks bro gelo!!! you are the professional! be strong and keep me posted! am gona miss ya! you are fast! i am gona read yours now and continue blogging mine! i am sooo late for submission!